TOKYO, June 4, 2012, Japan Display Inc. (JDI) (President: Shuichi Otsuka), a leading provider of LCD technology, today announced that it has developed a world-class liquid crystal display (LCD) in the direct-view panel field that features a resolution of 651ppi*1 (RGB pixel pitch: 39μm*3). Although the screen size is only 2.3-inches, the resolution format of the display is 1,280 × 800 pixels (WXGA), which is comparable to those used in typical notebook PCs. 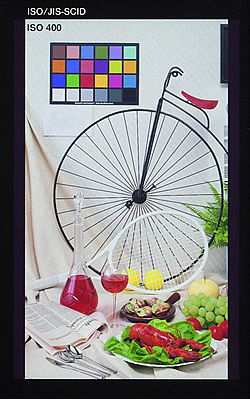 From another perspective, the resolution format of the newly-developed display is nearly twice the resolution of today's high-resolution smart phone displays. Today's advanced communication capabilities have made operating systems more functional, enabling the construction of large-capacity, high-speed wireless communication infrastructures. Accordingly, display screens used in information processing, such as used in smartphones and tablets, need to display a large amount of information on a single screen and provide realistic, high-quality images. JDI will present this product and part of the evaluation results during the Session 64.1 at the Society for Information Display's (SID) Display Week 2012, an international conference and exhibition, to be held June 3 – 8, 2012, at the Boston Convention and Exhibition Center (BCEC) in Boston, Massachusetts, USA. 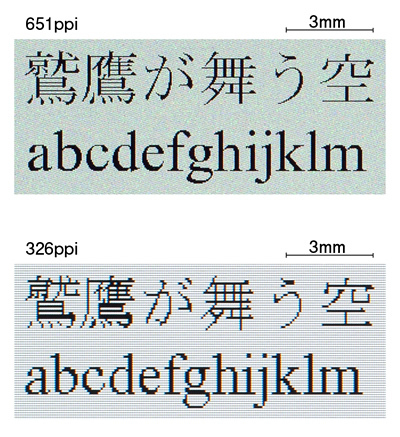 *1　ppi is an abbreviation for pixel per inch.